One of my favorite magazine InStyle & shoe heaven Nine West are teaming up and launching a new collection for Fall. I love to look at InStyle magazine for inspiration, upcoming trends and style. And we all know that Nine West carries some of the most hottest style. The new 9W♥InStyle collection will feature shoes, handbags and accessories. 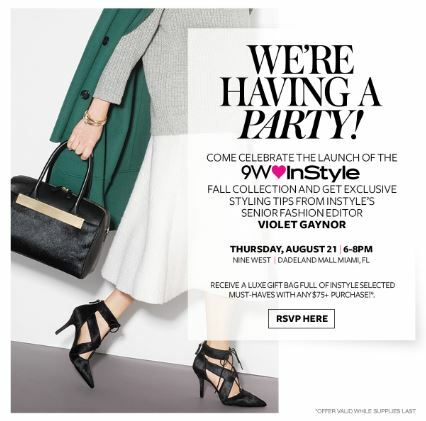 This Thursday night come celebrate the launch of 9W Loves InStyle party at the Nine West store in Dadeland Mall. 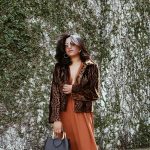 Also get exclusive styling tips from InStyle’s senior fashion editor, Violet Gaynor. This event is open to the public, just RSVP to NineWest_miami@timeinc.com. See you all there! 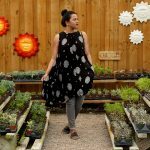 This is a sponsored post for Single Edition Media on behalf of InStyle & 9West. All opinions are my own.